On Arrival Guwahati Rail Station, Transfer to Hotel (Hotel will available at 12 noon). Half day visit Guwahati, Night Stay at Guwahati Hotel. After breakfast Check out from the hotel, Proceed towards Kaziranga National Park via Nagaon, After reaching Kaziranga you may take Jungle Safari (Provided by Assam Forest Dept. ), Night stay at Kaziranga Hotel. After breakfast Proceed towards Sibsagar via Jorhat, After reaching Sibsagar you visit Jaysagar, Shib Doul, Rang Ghar, Kareng Ghar ( all traditional tourist spot of Assam kingdom of AHOM KING), Return to Kaziranga, Night stay at Kaziranga Hotel. After breakfast Check out from the hotel, Proceed towards Boomdila. Continue your drive and do not forget to keep your cameras handy as you cross beautiful waterfalls and get some spectacular views. Check in to your hotel Boomdila. 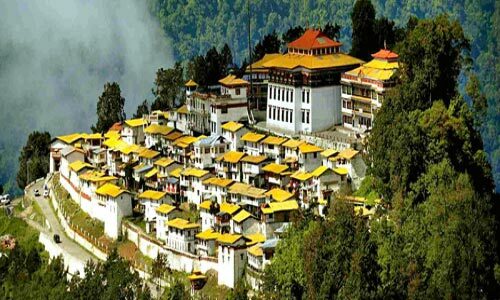 After breakfast, check out from hotel & proceed to TAWANG. On the way visit war cemetery.Continue with the drive till you reach Sela Pass at an altitude of 4114m / 13494 ft. It is famous for high altitude lakes & scenic beauty & is ideal for ice skating during winter. Check in the hotel on arrival.Overnight stay in Tawang. After breakfast visit Local Sightseeing Gorsham Chorten, Gontse Garden, Singar Ani Gompa. Evening return back to hotel. Overnight stay in Tawang. OR Reserve day for BOMLA PASS if you interested. Overnight stay in Tawang. 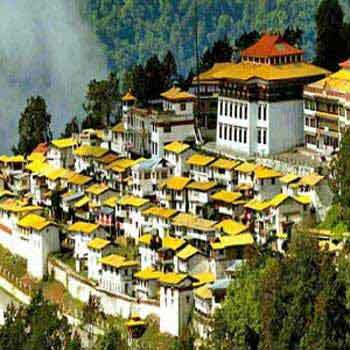 After breakfast visit Local Sightseeing , Marketing at Tawang Old Market proceed to Dirang Overnight stay in Dirang. After breakfast, proceed to tezpur, & drop at tezpur and night stay at tezpur. After breakfast check out from the hotel, proceed towards Bhalukpong via NAMERI ( River Rafting at JIA BHARALI RIVER and NAMERI FOREST RANGE). Night stay at Tezpur.